An exhibition, auction and marketplace of Sikka tenun ikat, handwoven fabric from Sikka regency in East Nusa Tenggara, is set to be held at Atlet Century Park Hotel in Central Jakarta from Feb. 15 to 17. Initiated by the Tenun Ikat Sikka Geographical Indication Preservation Community (MPIG) and the Yayasan Sahabat Cipta foundation, the event aims to promote the fabric to a wider market as well as raise funds to allow the community to assist weavers and creators. "This event will auction off Sikka handwoven fabrics of high value as well as feature a demo of how the fabric is created, an exhibition of ancient Sikka tenun ikat, the Goyang Maumere flashmob, sales of Sikka handwoven fabrics and scarfs with protected motifs that are mostly made with natural coloring and an exhibition and marketplace of fashion items made of Sikka tenun ikat," said the event's committee chairman Dollaris Riauaty during a press conference in Jakarta on Thursday as quoted by Antara. 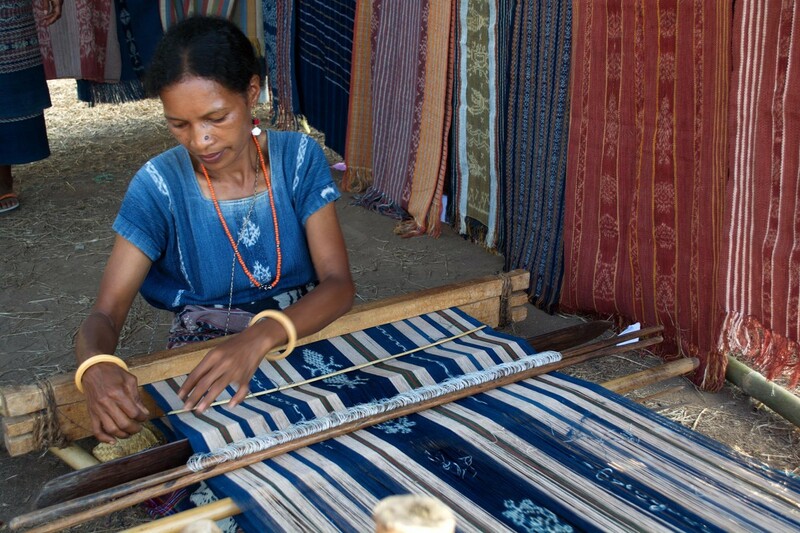 Around 10 weavers and creators from Sikka regency are set to attend the event. Eight design studios will also showcase their fashion products, namely Batik Tenun Njonjah Poenja, LeVico, Noesa, Niora, Indhe Indonesia Bag, Oriep Indonesia, Racheli and Ita Selaras. Part of a series of activities for World Intellectual Property Day, the event is supported by the Sikka regency and East Nusa Tenggara province administrations, the Intellectual Property Directorate General, the Creative Economy Agency (Bekraf), the Tourism Ministry, the Ford Foundation and the Swiss government through the Indonesian-Swiss Intellectual Property Project (ISIP).